Excellent for use on small boats, inflatables, canoes and kayaks or as a backup to your primary marine binoculars. 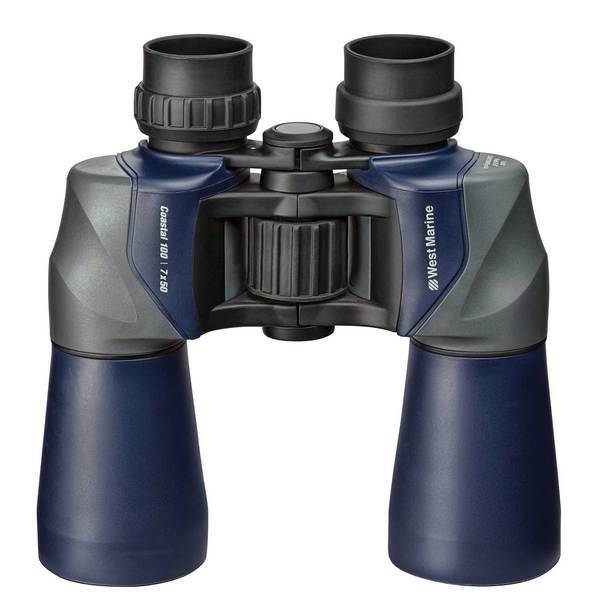 These extremely affordable binoculars are rugged, rubber armored and water resistant. Their impact-resistant housing and nitrogen gas charged interior will keep them working great for years to come. They’re equipped with the same outstanding optical system found in our higher-priced models, with minimized field curvature and distortion. BAK-4 Porro prisms provide a sharp image with good light transmission efficiency. Center-focus and 27.4mm eye relief for comfortable viewing with or without glasses. Case included. Two-year warranty.